Facebook Faces Class Action Lawsuit Challenging Its Use Of Facial Recognition Data : The Two-Way Facebook users in Illinois argue that the company has violated their privacy rights under state law and the damages could amount to billions of dollars. Cardboard cutouts of Facebook founder and CEO Mark Zuckerberg stand outside the U.S. Capitol in Washington as he testified before a Senate panel last week. A federal judge in California has ruled that Facebook can be sued in a class-action lawsuit brought by users in Illinois who say the social network improperly used facial recognition technology on their uploaded photographs. The plaintiffs are three Illinois Facebook users who sued under a state law that says a private entity such as Facebook can't collect and store a person's biometric facial information without their written consent. The law, known as the Biometric Information Privacy Act, also says that information that uniquely identifies an individual is, in essence, their property. The law prohibits a private entity from selling, leasing, trading or otherwise profiting from a person's biometric information. 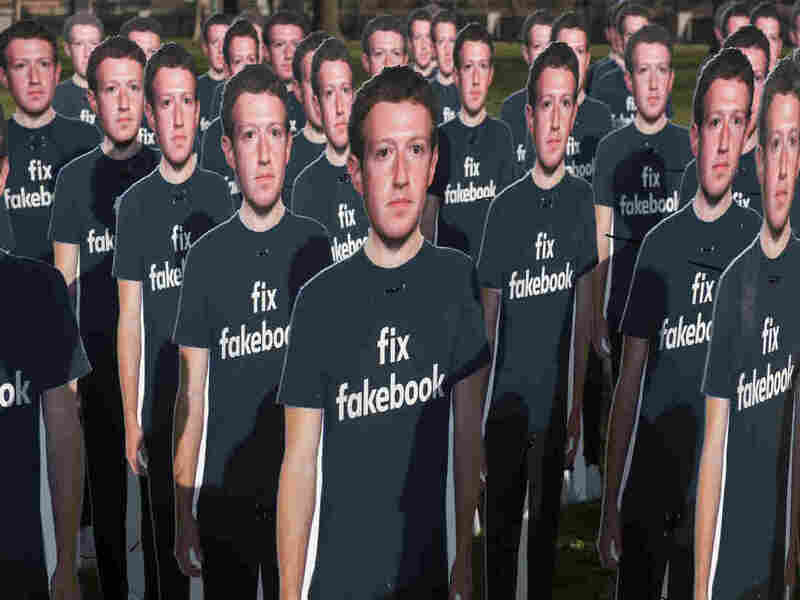 U.S. District Judge James Donato ruled that the lawsuit can proceed as a class action representing potentially millions of Facebook users in Illinois. The judge is based in San Francisco where the case had been moved at Facebook's request. The suit seeks penalties of up to $5,000 for every time a user's facial image is used without his or her permission. The judge said the potential damages could amount to billions of dollars. Facebook issued a statement saying it continued to believe that the lawsuit has no merit. It argued in court that individual plaintiffs should have to pursue their legal claims proving that they were "aggrieved" and suffered an actual injury beyond an invasion of privacy.